Our 7 day weather forecast for Brentford updated throughout the day, making it ideal for planning leisure activities, travel and events. Read more about our weather forecasts. Our weather forecast for Brentford is updated throughout the day and has been found to be very reliable for planning activities such as days out, leisure, travel, events, fishing, golf and gardening. the country and has a magnificent collection of paintings and furniture. Set in 200 acres of parkland and Capability Brown designed gardens, which includes the Great Conservatory, Syon is one of London's hidden treasures. Both house and gardens feature frequently in TV and film costume dramas, most recently BBC's The Great British Bake Off, Sky's 24:live another day, ITV's Poirot, and the feature film "Belle". : The Great Conservatory was showcased recently in Downton Abbey. 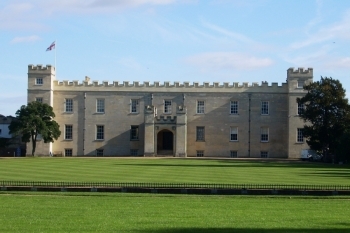 Whether it is as an heritage site, film location or an exclusive wedding venue, Syon Park continues to welcome, inform and fascinate its visitors. Last entry to House and Gardens 1 hour before closing.